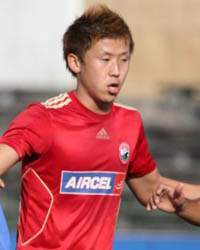 Tripletta all’esordio per Kim Song-Yong con la maglia del Bengaluru nella vittoriosa gara contro l’Fc Pune conclusasi sul 5-0, valida per la DSK Cup 2015, torneo amichevole ad inviti. Le due squadre sono inserite nel gruppo C assieme al Gangtok Himalayan SC. Posted in Senza categoria and tagged Kim Seng Yong on ottobre 24, 2015 by calciocorea. Kim Song-Yong is a self-confessed struggler when it comes to putting across his thoughts in the English language. But throw him into the confines of the six-yard box and inhibitions are swiftly thrown out of the equation. It’s been more than a week that Bengaluru FC’s new signing has begun training with the team and he’s warmed up to this new chapter in his career, faster than he expected. “Everything at BFC is good – my teammates, the coaching staff, training sessions, the facilities and the place where we are put up – it’s all so good. 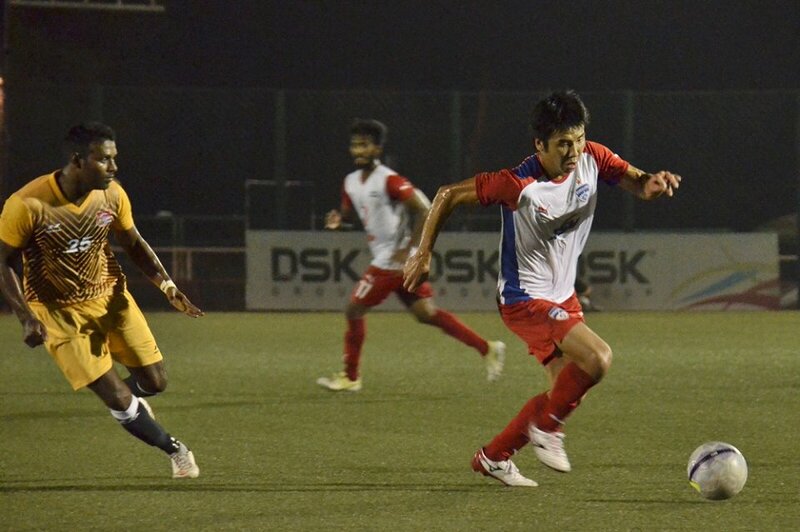 When you have so much good going for you it makes settling into a new city and club easy,” says the striker who played for Shillong club Royal Wahingdoh last season and Rangdajied United the season before. A Japanese-born North Korean, Kim was on gaffer Ashley Westwood’s radar given the threat he possesses in the box and his aerial prowess and the striker hopes to repay the faith. “I have come here with a big responsibility. I have to score and score regularly. I won’t be accepting anything less than 10 goals this season,” he says. Fans got a glimpse of Kim during the club’s first pre-season friendly against the India under-19 team last weekend in which he played the first 45 minutes. But while he’s aware no judgements would have been made, Kim refuses to go easy on himself. “I wasn’t pleased with the way I played. I have a lot of work to do. This phase of tuning my body is as important as the time when competition begins. I need to work on my communication,” he opines. He’s been no stranger to the fans at BFC having played at the fortress with his former teams and Kim is only too happy to have them on his side this time around. “I walked past a banner with my name on it the other day and it was nice to see! It was really nice of the fans to make me feel welcome like that. I cannot wait to play in front of them once the season begins,” he signs off. We’re certain the feeling is mutual. Posted in Senza categoria and tagged Kim Seng Yong on agosto 12, 2015 by calciocorea. 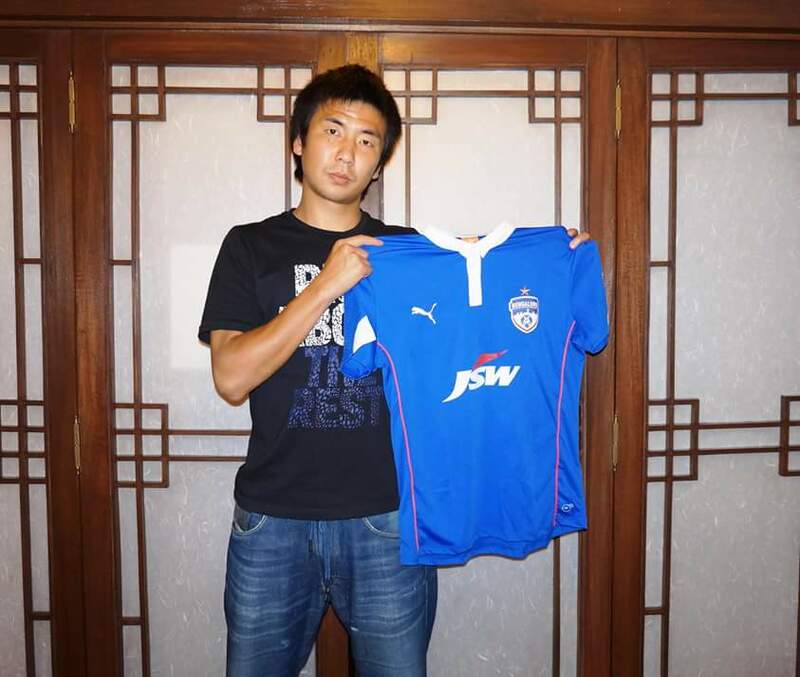 L’attaccante Zainichi Kim Seng-Yong continua la sua avventura in India grazie alla firma sul contratto che lo legherà al Bengaluru, squadra seconda classificata nell’ultima I League. Il Bengaluru giocherà anche la prossima edizione dell’Afc Cup. Posted in Senza categoria and tagged Kim Seng Yong on giugno 4, 2015 by calciocorea. Si è conclusa l’ottava stagione della I-League, il campionato indiano, che vedeva all’opera due nostri Zainichi, Son Min-Chol e Kim Seng-Yong. Il primo, alla terza stagione nel Shillong Lajong, ha guidato la squadra da capitano, alla salvezza, con quattro punti di vantaggio sul Dempo FC retrocesso. Ha giocato 15 gare. Il secondo invece è stato grande protagonista della stagione del Royal Wahingdoh, che nella stagione d’esordio nella massima lega indiana, ha raggiunto il terzo posto. 19 presenze e 5 gol per l’attaccante coreano. Posted in Senza categoria and tagged Son Min-Chol, Kim Seng Yong on giugno 1, 2015 by calciocorea. 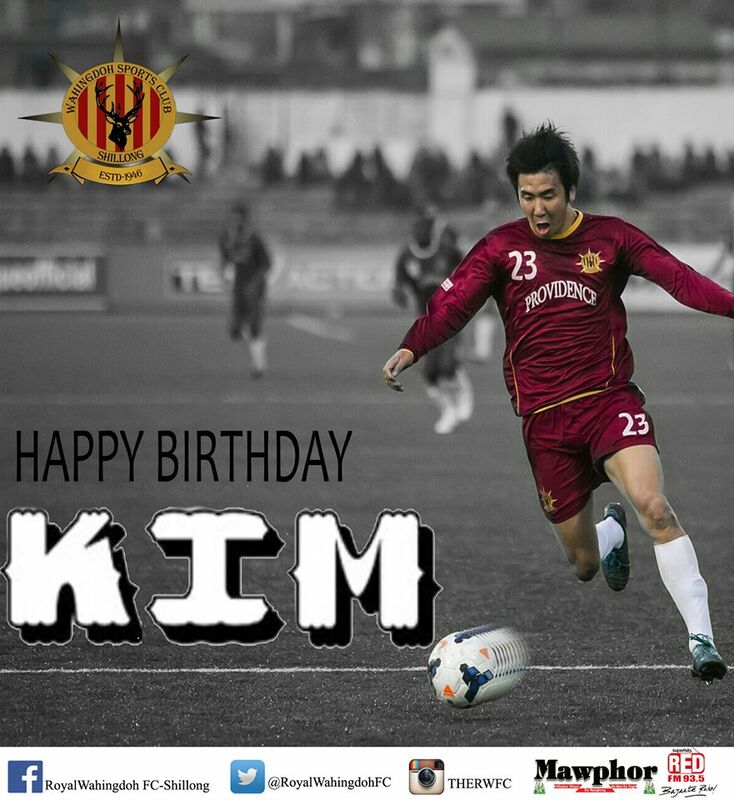 Grazie ad un gol di Kim Song-Yong all’ultimo minuto (94′) il Royal Wahingdoh FC strappa un pareggio al Shillong Lajong, squadra nella quale milita Son Min-Chol. 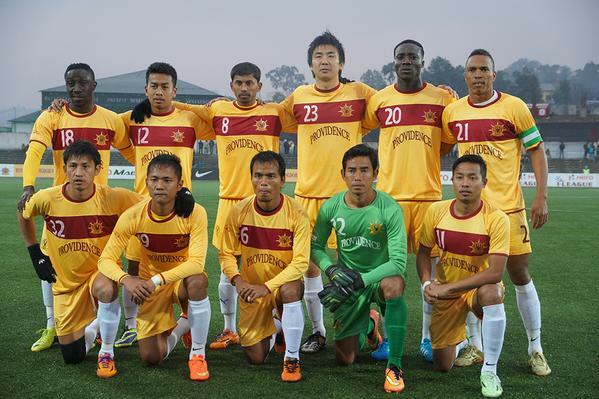 Il Royal Wahingdoh è attualmente secondo in classifica, mentre il Shillong Lajong è nono a cinque punti dall’ultimo posto, quindi dalla retrocessione. Posted in Senza categoria and tagged Son Min-Chol, Kim Seng Yong on aprile 13, 2015 by calciocorea. Nello scontro al vertice del campionato indiano I-League tra Royal Wahingdoh FC e Bengaluru FC (rispettivamente terzi e secondi) rete di Kim Song-Yong su rigore al 15′ minuto. La gara si è conclusa con uno spettacolare 3-3. Posted in Senza categoria and tagged Kim Seng Yong on aprile 4, 2015 by calciocorea.